Take I-75 South toward Lexington. Take Exit #189 (KY 1072/Kyles Lane). Turn Right off the ramp onto Kyles Lane. Turn Right onto Dixie Highway. At the first driveway turn Right. 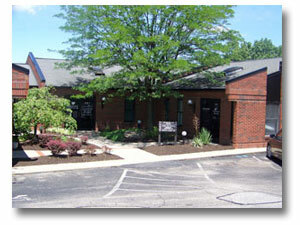 As you enter the front doors of the building, our office is the first door on the Right. Turn Left off the ramp onto Kyles Lane. Keep Left to take the ramp toward Ft. Thomas. Turn left onto N Grand Ave./KY-1892 E.
You will go thru 3 traffic lights. Our office is the second driveway on the Left past St. Elizabeth Hospital. When you pull into the driveway, our building is the first one on the Left side. If you pass the BP gas station on the right, you’ve gone too far. Keep Right to take the ramp toward Ft. Thomas.